The Specials, a 2 Tone ska band from the U.K. announced their return earlier this week with a new album from members of the original lineup due out early next year on Feb. 1. The band helped introduce the genre to global audiences in the early 1980s alongside contemporaries like The English Beat and The Selecter. Their new studio album will be titled Encore, and acts as the veteran band’s first release consisting of all original material since 1998’s Guilty ’til Proven Innocent!. The 1960’s mod-style band had also released a covers album back in 2001 titled Conquering Ruler. The writing and recording sessions for Encore marks the collaborative reunion of singer Terry Hall and co-founding members guitarist Lynval Golding and bassist Horace Panter. Hall would join the group as its second vocalist shortly after they formed back in 1977. The three co-produced the album alongside Danish composer Nikolaj Torp Larsen. The album also includes contributions from Kenrick Rowe (drums) and Steve Cradock (guitar), who have played and recorded with the band’s updated lineups in more recent years. The 10-track album will include eight new original ska tunes, in addition to a pair of covers with “Black Skinned Blue-Eyed Boys” and “Blam Blam Fever.” The full track listing can be seen below. 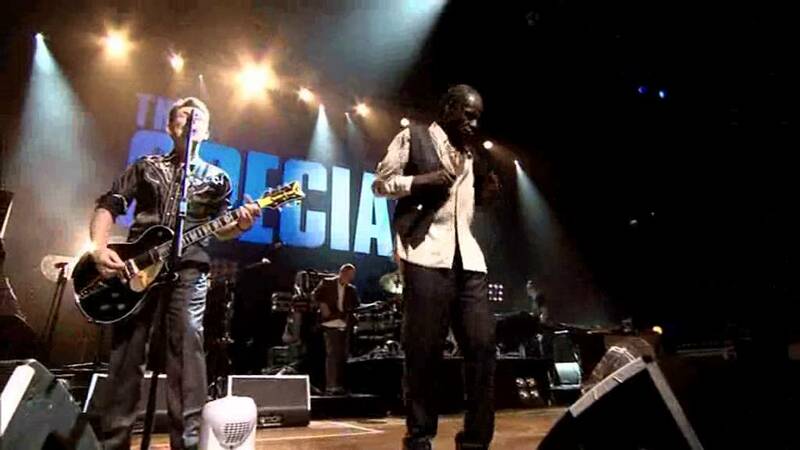 The revamped lineup of The Specials also announced a run of concert dates across their native United Kingdom set for this spring, which begins on April 15 in Bournemouth and continuing until May 16 with a final date in London. Tickets for every show on the 2019 spring tour will be going on sale to the public starting this Friday (Nov. 2) and can be purchased by clicking here. Live footage from the band’s 30th-anniversary tour can be watched in the video above. The Specials seem to be following the lead of another well-known 2 Tone ska band, The English Beat, who also returned earlier this year with their own first studio album since 1982 with Here We Go Love!.